Wilfred Harry Clarke was born in Thame on 14th May 1895 and baptised at St Mary’s on 16th July 1896. He was the son of Harry and Esther Sarah Clarke (nee Guntrip) of 17 Chinnor Road, Thame. The eldest of four siblings, he was apprenticed in his father’s cycle repair business. 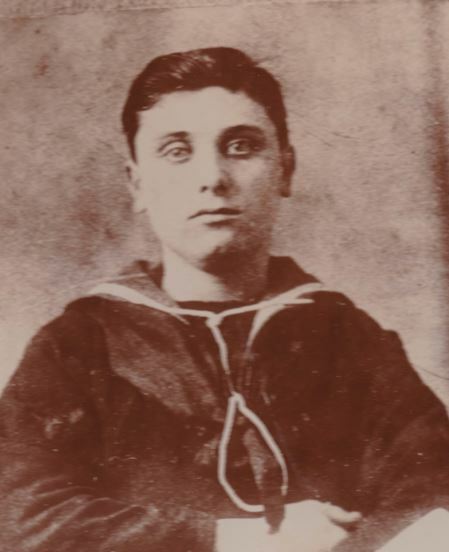 Wilfred enlisted in the Royal Navy in 30th September 1913, declaring his previous employment as a cycle repairer. He spent five months in training at HMS Pembroke, Chatham, before joining the battleship HMS Formidable on 21st February 1914 as a Stoker 1st Class (SS114908). 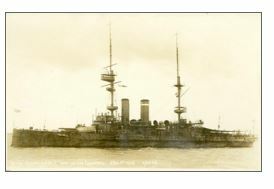 On the night of 1 January 1915, in rough seas off Lyme Regis in the English Channel, HMS Formidable was returning to Devonport following an exercise. She was the last in a line of Battleships taking shelter in Plymouth due to bad weather. German U-Boat U24 was lying in wait and fired two torpedoes at her stern. She took two direct hits from the torpedoes and foundered quickly, sinking in 180ft of water about 37 miles off the Devon coast. Only 199 men were saved out of a complement of 780, and unfortunately neither Wilfred nor Frederick James North were not amongst them. 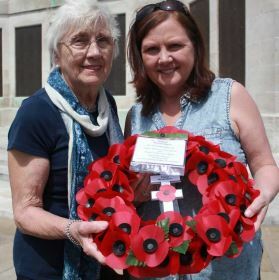 They are both remembered on the Chatham Naval Memorial and in Thame on the war memorial and on memorial boards at St Mary’s Church, All Saints Church and Christchurch.